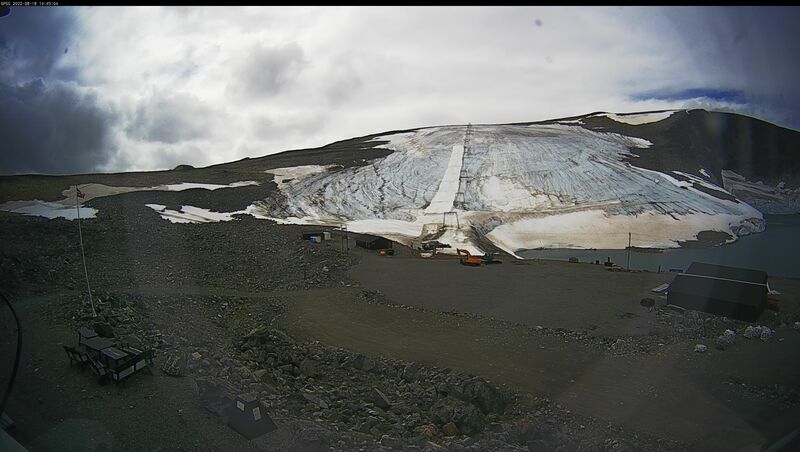 The glacier has 1 ski lift and 1 slope, divided into 25 pistes. In July there is a park to the left of the slopes, and a freestyle-area to the right if conditions allow it. These are not shown on the slope map. The pistes are rented out to clubs and teams. See the bottom of this page for availability of slopes. The slope map shows how many pistes have been rented out on the given day. If a piste is not rented you can use it freely. The map helps indicate how many teams are training with us at the time. The piste to the left of the lift, or skiers right, is open to everyone. Show consideration if you must cross a piste with gates as the skiers move quickly. You are responsible for any accident which may occur.